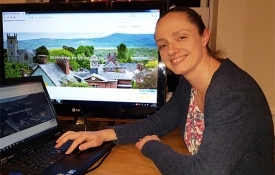 Montgomery Town Council has launched its new website for the town at https://www.montgomery-wales.co.uk/ The site, aimed at both local people and visitors to the area, was designed and built by Adam Cusack of G17, with support from a small working group from Destination Montgomery. 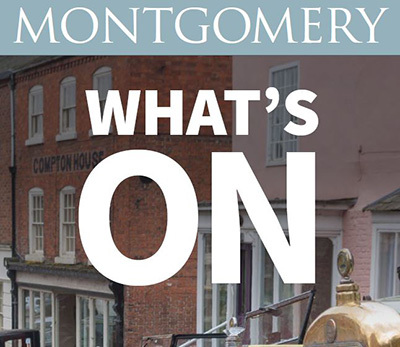 It brings together a host of information about Montgomery, from its history, architecture and beautiful countryside to things to do and places to stay and eat, as well as news articles and a great programme of events. It will also be a tool for the Town Council to use to share information and communicate with the community. 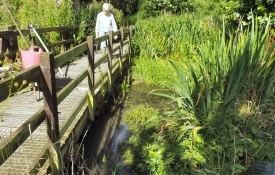 Cllr Claire Weston commented, "I was very pleased to be involved with the project and I am proud of what has been achieved. The website will continue to evolve, and I encourage people to follow our progress as new developments and content arrive on the site." 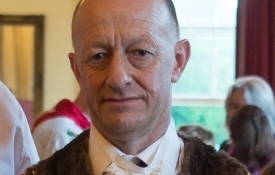 Cllr Mike Mills continued, "I'm thrilled to see the new website up and running thanks to all the hard work of Adam at G17 and the Destination Montgomery team. The new site will allow us to publicise events, facilities and businesses within the Montgomery community and it really is a magnificent asset to our Town." With versatile venues available to hire for a variety of uses and some great independent shops, take a look at the website and discover for yourself what Montgomery has to offer. Montgomery Christmas Festival this year made the most of the wonderful space in St Nicholas’ Church, where events surrounding the lights switch-on included a Christmas market with a lovely atmosphere, festive refreshments and music, children’s crafts, and the man in red himself with his grotto and gifts. Early on the crisp autumn morning, volunteers flocked to St Nicholas’ Church in Montgomery to set up the Christmas Festival event for 2018. Christmas Market vendors then arrived with imaginative stall displays showcasing their unique local handmade gift and home items. Hundreds of visitors came to scout out these goodies, which included beautiful hand-quilted bags, scrumptious reindeer cupcakes and homemade chocolates, hand-crafted wall art, wild woolly rugs, plastic-alternative homeware, unique personalised photography, Christmas decorations, jewellery and gift products, cards and wrapping papers plus local winter scene holiday cards and Montgomery calendars – there were so many lovely things! The festive atmosphere was enhanced by some of Montgomery’s musical talent: flutes, saxophones and cajon (percussion) cheerily played renditions of favourite Christmas carols to add to the joyful environment for visitors! Children crafted handmade decorations at dedicated craft tables, ready to adorn a tree at the Tree Festival in Llandyssil the following weekend. Later, a jolly special guest appeared to lead everyone to the lights switch-on; Santa counted down and the Monty Magic lit up the Town. Santa then led everyone back into the Church and greeted children in his grotto. After all this, plus lots of mince pies and the raffle being called, it was time for a swift clean-up by the amazing troupe of volunteers. They left no trace and the Church fell silent once more, resting and prepared for Sunday Communion the next day. Jenni Visser, of the Montgomery Christmas Festival Committee, says: “It was such a lovely event. The committee would like to thank everyone for making this year’s event the best ever! All the committee members and helpers are volunteers, with many of them working full time in addition to supporting this special event.” The team would welcome any photos from the event, or feedback comments about what went well and what could be improved in future years, and both these things can be sent via their Facebook page Montgomery Christmas Festival. This year, Montgomery launched its first Live Advent Calendar, showcasing the ingenuity and talent of many Montgomery groups and individuals. Every evening in December, at 6.15pm, a door will open, and those gathered outside experienced something related to Christmas for a few minutes in that doorway. 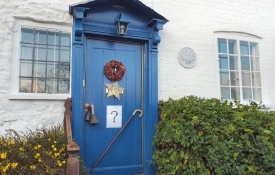 We are all used to chocolate Advent calendars, but the town’s Live Advent Calendar will be filled with story, song and the best that Montgomery’s creative minds could bring. 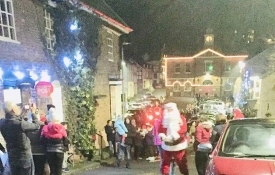 Organised jointly by the chapel and church; groups, individuals and businesses agreed to open their doors and show something of what Christmas means to them. The Live Advent Calendar was launched by the Mayor, Lionel Weaver, on 1st December at 7 Broad Street, when townspeople and visitors were invited to follow a star around Montgomery until the Calendar finished at the Crib Service in St Nicholas Church on Christmas Eve.